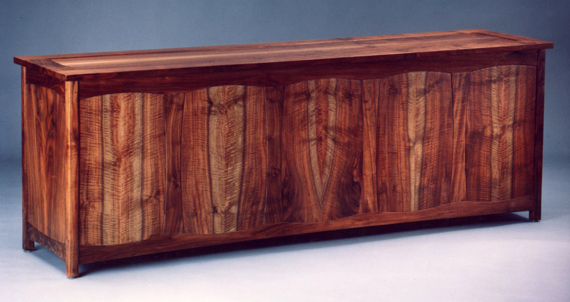 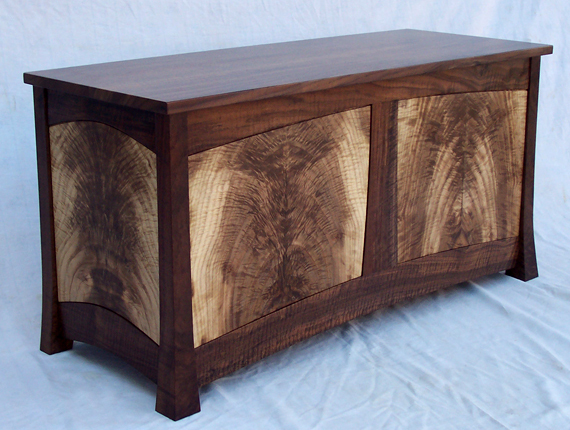 Charmoire-Paradox walnut. 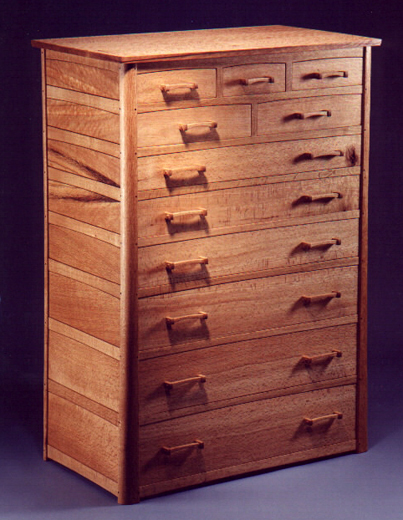 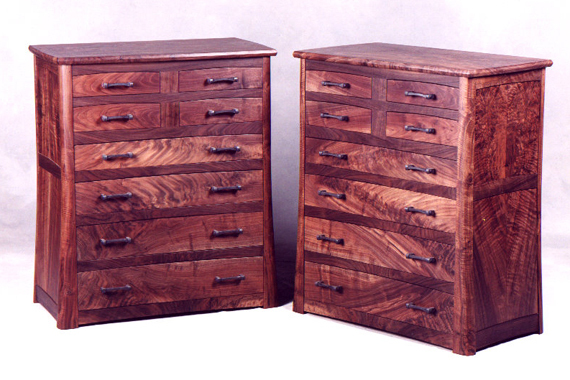 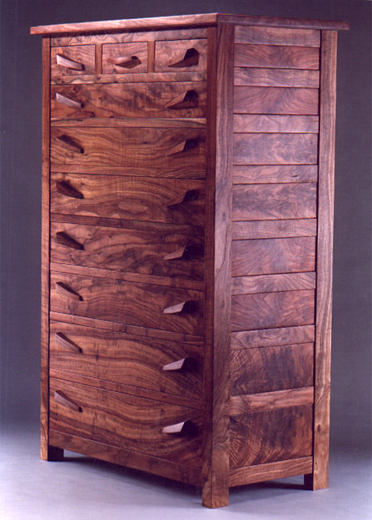 10 drawers and two tamboured sliding doors on sides for necklaces. 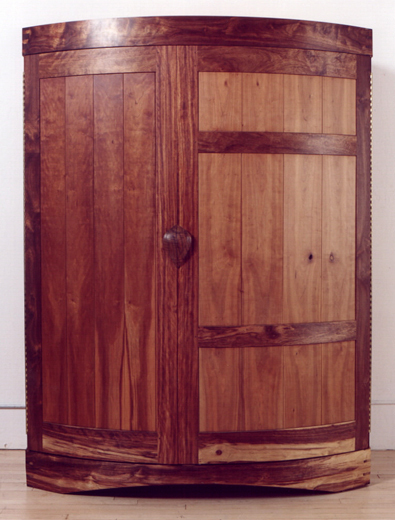 Stephens Armoire-Closed-Chechem, cherry, Paradox walnut, Europeon elm, California black oak, camphor, and fiddleback maple. 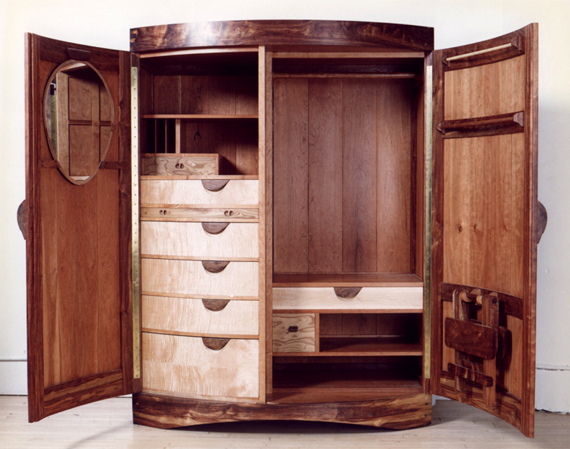 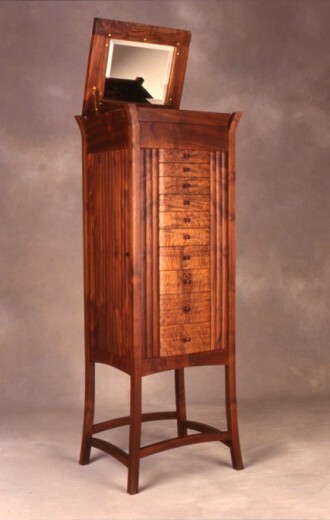 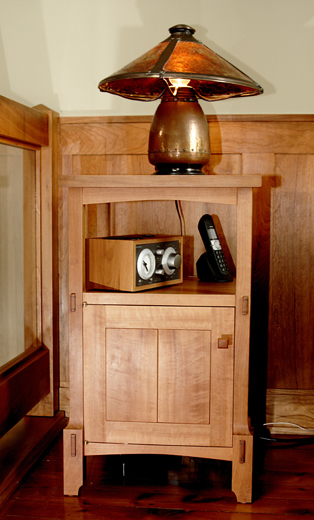 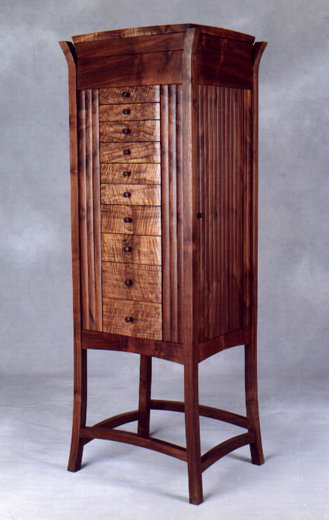 Stephens Armoire-Open-Chechem, cherry, Paradox walnut, Europeon elm, California black oak, camphor, and fiddleback maple. 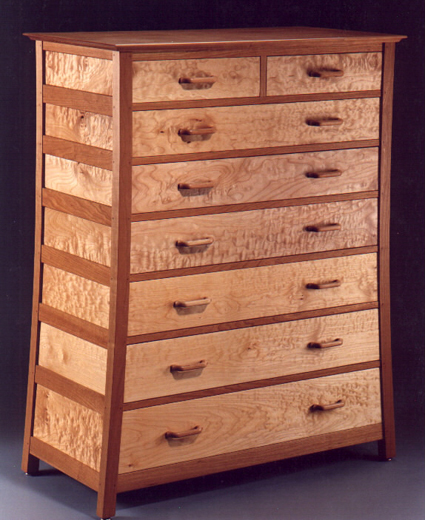 Rogers Chest of Drawers-Cherry and curly maple. 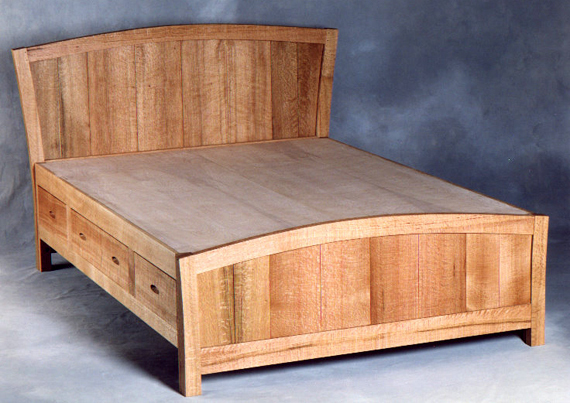 Espinose Bed-Quarter sawn California black oak. 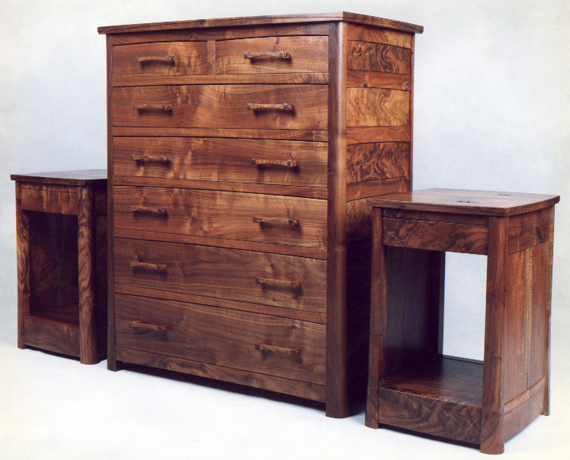 Three drawers on each side. 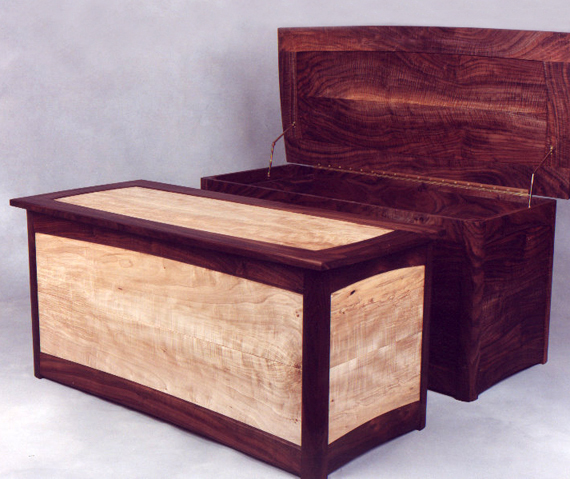 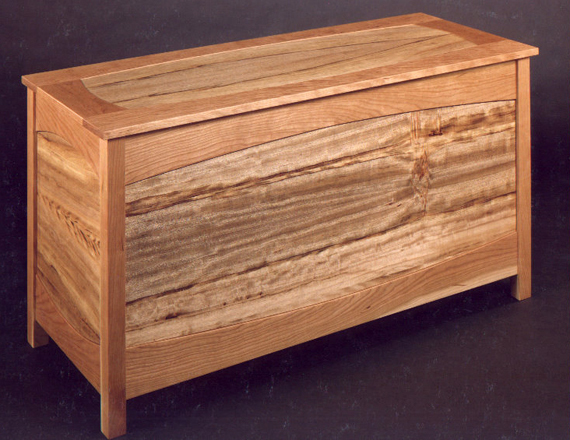 Gonzales Blanket Chests-Front one is silver maple and claro walnut, rear one is claro walnut.